O'Reilly Twitter Report Giveaway: Sarah Milstein was kind enough to send me a report called "Twitter and the Micro-Messaging Revolution that she co-authored for O'Reilly. It is a synthesis and contextual presentation of Twitter - from primer, selected resources, and case studies of how Twitter is being used. And the lucky winner is Michaela Hackner who works at Forum One Communications. Book Giveaway: Tom Watson, author of the new book, CauseWired, kindly gave me a copy for a book giveaway. If you didn't win and you don't already own it, it's a must read. And if budgets are tight, you might be able to pick up a used version on Amazon. Or, if you're a US blogger and participated in Blog Action Day you be lucky enough to get an email from Kiva B2B that they are giving away 300 hundred copies to participant bloggers. What's Your Big Idea for Change in America? Ideas for Change in America is a citizen-driven project that aims to identify and create momentum around the best ideas for how the Obama Administration and 111th Congress can turn the broad call for "change" across the country into specific policies. Ideas for Change in America is a project of Change.org and was launched in partnership with more than three dozen partners, including MySpace, techPresident, the Sunlight Foundation, Netroots Nation, Declare Yourself, Student PIRGS, Democracy In Action, Voto Latino, HeadCount, Change Congress and ShareOurStrength. Ben Rattray, Change.Org's founder, describes it as - "to create an open-sourced advocacy platform that identifies and then mobilizes resources around the best ideas for how to change the country." It works like many of the competitions that have been launched recently by nonprofits and foundations. Anyone can post an idea and then it is the wisdom crowds to vote. But it doesn't end with the top ten ideas - they will select a nonprofit sponsor to help create nationwide movement to push the idea forward. More details on the FAQ. The Obama White House should make some smart, strategic choices to carefully frame and highlight one or two (no more than three!) such initiatives for a limited period of time to see if this method generates alternatives that may not have come to light through other means. You can read the details at the site. What's your big idea for change? Go submit it. Don't have an idea, then browse through the ideas and vote for the ones you think have promise. First there was Trick or Tweet, and Now Tweetsgiving! I've always enjoyed how the web gets into the holiday spirit. Google has been celebrating holidays by changing its logo to a holiday theme since 1999. And a quick look around the social web last Halloween and there were so many companies putting Halloween costumes on their logos, that there was even a contest for the best ones! And celebrating holidays (or planning for a holiday) on Twitter is also becoming a tradition but these are community-driven efforts and some have been connected with raising money for good causes. The first example and a brilliant one was "Trick or Tweet" cooked up by the good folks at FutureNow. So, now we have another holiday twitter event - Tweetsgiving, the goal of which is to put the giving back in Thanksgiving by spreading stories of gratitude across the Twitterverse...and across the world. And, course, to raise money for a school in Tanzania. I'm not sure the spirit of giving during Thanksgiving is absent this year, but it's a great message and reminder in these difficult times, like Geoffry Livingston's message about how social causes can humanize your company. 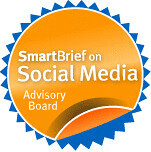 Aside from a holiday theme and messaging and other factors, I think the key to successful twitter strategy for good causes on Twitter is how you leverage the power of rapid word of mouth and spreading of information - that is the power of the retweet as Jeremiah Owyang suggests in this post. He points out that "Retweet" (sharing a link or tweet from one of your followers with your followers) is a social gesture indicating endorsement of an idea. He also talks about the need for ways to measure this velocity and how we can expect some analytic tools that let us see metrics for retweeting of your message. There are some early harbingers of this - like Twitinfluence which uses measures based on social network analysis. So, while we're all twittering our gratitude to change the world or spreading our donation requests via Twitter, perhaps we might think about some ways we can take action in the real world to give to others during Thanksgiving. Need some ideas? Here's a great post from Razoo "10 Ways To Give Back At Thanksgiving." How will you take your gratitude one step further into the real world for something that is important to you? I'm working on what has become my annual holiday post at BlogHer on the topic: Helping kids understand why it is better to give than to receive. I have many examples from my own children and those of Sharing Foundation stakeholders - many who are adoptive parents and have encouraged their children to give back to Cambodia. 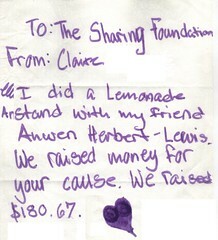 Take for example the lemon stand fundraiser. And, my own children have participated in many Cambodian fundraising projects and more recently Harry has taken to environmental activism and fundraising. One of their donors was a class of kindergarteners! What are some awesome examples of teaching young children about the importance of giving and philanthropy? Any that use Web 2.0? As a parent or teacher, how do you teach this important life lesson? What are the best articles, posts, blogs, or web resources on this topic? TwitPay? But What About Twit2Donate? Maybe in 2012? Last December, when I was fundraising for the Sharing Foundation via Twitter, my colleague Kevin Gamble didn't want to get out of his chair to find his wallet in order to make an online donation. After using some Twitter donor solicitation techniques, he contributed. This is implemented in the following manner. First of all, you have to fund a Twitpay via PayPal. The amount of this account can vary between 10 and 50 US$. Once the account has been created, you can make payments to any person simply be tweeting. That is, if you want to pay Mark Wolffe $2 all you have to do is enter a message like “@MW twitpay $2 for services rendered” and the corresponding amount will be debited from your Twitpay account. On the other hand, to see if someone has paid you using Twitpay all you have to do is keep an eye open on the replies tab of your Twitter stream. The site also includes a balance page that will provide you that information. My initial question is .. hmm how will they avoid fundraising scammers? I'm sure they thought about that? How do potential donors do their due diligence in 140 characters? 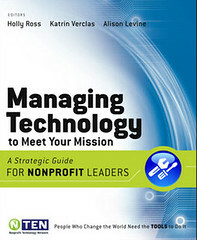 Current best practices will serve nonprofits just fine in 2009. Between email solicitation, direct mail, major donors, and grant-writing, the vast majority of nonprofits will weather the economic hard times. But a shifting communications environment and changing donor demographics could render those best practices ineffective at best, and obsolete at worst, as early as 2012. "When will online fundraising using social media and social networks become more than just a niche source of income?" Peter didn't include any demographic analysis in his article, but I usually refer to these Internet use and demographic statistics. I got challenged once in a workshop when I showed this graphic at a workshop from some long-time fundraising professionals. 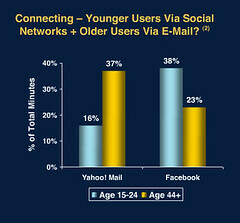 The challenge was that younger people will start using email when they enter the workplace. Yes, maybe, but they will still communicate through social networks mostly likely. Habits are hard to break. 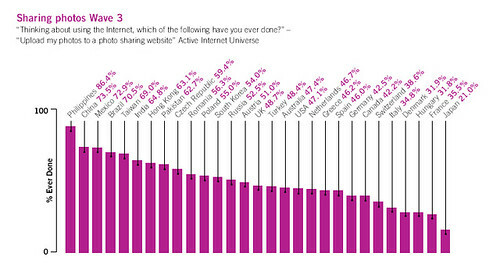 And, we're now starting to see the demographics of social networks mature with their users. Peter also talks about the shift in donor expectations. In 2012, individuals will come to your organization with the expectation of being full partners in your work, not just dollar wells to be tapped when cash is needed. Donations will be a consequence of meaningful engagement, not a measurement of it. I think these are great tips, but we're probably in still in some transition phase in terms of organizational culture being able to absorb this amount of change in 3-4 years. I think there needs to be some integenerational understanding within the organization and change management processes to fully and successfully adopt free agent fundraising strategies. What will it take for change in your organization's fundraising practices? Laura Fitton (aka @pistachio) the Twitter for Dummies site where folks are contributing ideas and tips to help write the book. In addition, 10% of the proceeds will benefit a charity to be nominated by the community. In July/August 2007, I launched my third fundraising campaign to support the Cambodian Bloggers Summit and the Sharing Foundation. That's when I used Twitter for the first time for fundraising for a charity. Was that the first a charity used Twitter for fundraising? I'm not sure, but at least one of the first. It wasn't the last time either. In October, 2007, using Twitter - and with Chris Brogan's help (and 81 other people) we sent a young Cambodian woman to college in 24 hours. Last August, 2008, 250 wired geeks at Gnomdex used Twitter to raise college tuition for a young Cambodian woman in 90 minutes! Lots of great information being shared there already so check it out and contribute to the nonprofits and Twitter section or nominate a charity - or go give the Sharing Foundation a thumbs up! Google SearchWiki, it's the Diggification of Google! I'm just getting back and I'm behind. I was googling to find an article about social network policies, specifically friending policies. I noticed that Google added a new feature where you can comment on a search engine result and like DIGG either promote it or demote it. You can customize the search results page too. The YouTube Video describes the feature and the official blog post will tell you how it works. As LockerGnome's Matt Hartley notes, "it will shake up search to the core for everyone." About a year or so ago, I blogged a bit about the concept of social search looks like this is the next frontier. I am here in Romania for a conference hosted by the Soros Foundation as part of their pilot advocacy through blogging program. I leave Romania early in the morning and I'm probably too tired to be writing something called a reflection, but I better do it now or risk loosing it. This afternoon we played the Social Media Game. I was nervous because I've never been to Romania, so I didn't have a lot of time or a frame of reference to tweak and customize. I hate that. As a trainer, what I've learned to do is wait until I arrive on site and make sense of it. Then customize the structure to the location. People in the room are speaking in another language and you need to concentrate on the content that is being translated in the head phones. While it is one the spot translation (and it was fabulous), you have to gauge what the delay is vis a vis the audience reaction. Given that we were talking about technology/social media, and the translators were not techies - I had to fill in some of the content. My usual filter is to watch and listen for people's perspectives about social media - are they newcomers, are they stressed, are they more expert and bored .. this was hard to do at the same time as the language translation. I usually take notes online. I couldn't because of the translation logistics. I had to remember when I needed to put the headset on and listen - or when I needed to talk into the translation mic for the translators. I messed up a few times. I couldn't stream either -- had problems texting with my N95 (don't ask). Anyway, remembered that Flickr lets you upload 90 second video clips and this was perfect. They had the conviction to just say no. Because of the limited point system, the participants spent a lot of time figuring out how to "get the most bang for their buck." I got asked questions like - if we upload a video to flickr, does that count as a 3 points additional? We talked about listening quite a bit or what was described "Research before you do your messaging." I asked is that something you normally do for any type of marketing campaign and the answer, "in situations." We had a wide mix of levels in the room - from novice to more expert and I was thankful that some of the presenters, like Sorin Matei helped facilitated a small group. That's an important feature of doing these process - having some folks in the audience who can facilitate a group. That's all for now. See you on the other side of the pond. This video made me cry. I got meet Mihaela Mihaescu and her mother today. I admire their passion and their drive to build one of the first independent living centers in Romania, IHTIS. The goal is to get $1 from 350,000 people to support this program. They plan to make it viral. It was very moving. I will be preparing a separate post about this project. Below is a clip describing the fundraising campaign. The vide made its debut during a conference hosted by the Soros Foundation as part of their pilot advocacy through blogging program. I'm putting aside the Romanian lei I have left to donate to this campaign. 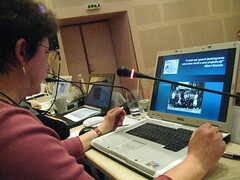 I'm live blogging the conference sessions which are being conducted in Romanian. I am understanding this only because it is being translated through headphones. The translator is in a booth. So all the disclaimers of live blogging apply and particularly here - with translations, jet lag, etc. After the introduction, I gave my brief presentation. Next, Iulian Comanescu - Training coordinator for the program is explaining the program. There were five organizations participating. One organization did not finish the program. Can't just build a blog and let it be. You need to fuel it and we have so much to do at work. We need to make the time to blog after hours. Doing a blog involves additional time and energy and some of us won't have this time available. They replaced the organization. The definitions are fluid when it comes to Web 2.0. He selected some definitions from the Internet. A mix of conversational marketing. Blogs: It is more than a web site, built by one person or a small community or group of bloggers. A blog is more than a personal journal. Blogs focus on a particular niche - and this determines the target audience. Conversation is very important and the nature of Web 2.0. Niche content. Blogs are connected - we're talking about a blogosphere. A rating of 100 or more is considered good in Romania. Personality is important. 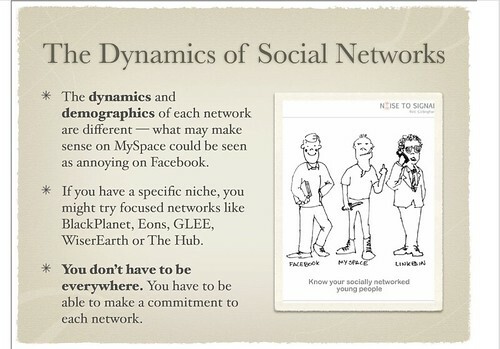 Social Networks: Facebook, Myspace, and many more. Each has a composite page that has biography, conversation, and music/media area. The key is the interconnectivity of users - and what can happen when you get connected with people with similar goals. It is not a book with pages, but it is about relationships. Wiki: Collective brain of humanity. He told the story of the founding of wikipedia and the meaning of the Hawaiin word - quickly, quickly. He talked about the growth of wikipedia. He also mentioned a Romanian wiki called MediaPedia.Ro. Talked about the problem of wiki spam and how easy it is to administrator. Video Sharing: Youtube and several inspired by YouTube including a Romanian video sharing platform. Described the features and content. Difference between amatuer and professional videographer. Collective Tagging: Tagging is a keyword that describes the content. Gave examples of how to tag the presentation. Described the difference between taxonomy and folksonomy. Collective intelligence - The written press can no longer lie. Internet is difficult to stop. Next, he showed a fundraising video for an independent living center for IHTIS. The goal is to get $1 from 350,000 people to support this program. They plan to make it viral. It was very moving. I will be preparing a separate post about this project. Below is a clip describing the fundraising campaign. 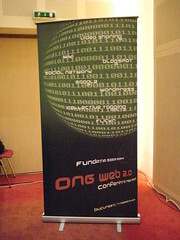 Gave an overivew of their program and how ngos web presences have evolved from web 1.0 to web .0. 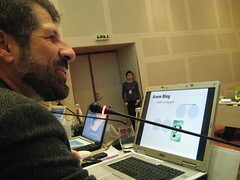 Presented a case study of Catalogul Societatii Civile - which is a large portal site for NGOS in Romania. 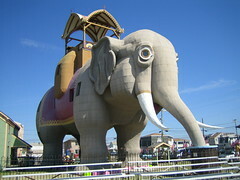 It has Web 2.0 components, including a blog community. 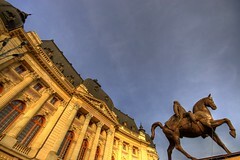 Goal is to provide web presence for most ngos in Romania. It also has events with a goal of being a news agency for NGOS. Part of the content is created by ngo users and the other part is managed by an editors. They have over 3,500 registered users. They hope to grow to 35,000 users, which is comparable to newspaper circulation. They also have an advocacy role on behalf of ngos. Gabriela Tanasan – Executive Director, Orizonturi Foundation, Campulung Moldovenesc. Her project Blogging the Dream, is one of the six new health-focused citizen media outreach projects that were announced in June by Rising Voices and Open Society Institute’s Health Media Initiative. A mental health organization - it is easier to be integrated than not. 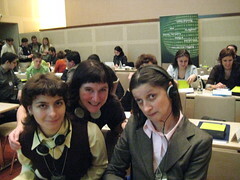 Been active since 1995, working in the northern part fo Romania to help mentally challenged people overturn the stigma. They want to improve their quality of life and confidence and lead an independent life. A good collaboration between the state hospital and ngo. Difficult to work with journalists - because they believe nothing is happening - they call "lunatics" - it is a rural community with villages spread across mountains. It is why they wanted to blog. They wanted to dispel myths about what mental problems really mean. Volunteer training - volunteer would design small projects and implement them in the communtiy - mental health care in the students. The volunteers were high school students. Through the Internet, they learned about the Rising Voices Grant. They submitted an application, assisted by volunteers from the Peace Corps. The purpose of the project is to keep mental health patients to share their ideas and experiences. They have several months of training, they are now half-way - the training is both theory and practical. The participants will build personal blogs which are public or not depending on whether the blogger wants it public. There 10-15 bloggers - a wide range of ages. Encourage them to work as a team. Discussed the differences in perspective between generations. They also prepared them about how to respond to comments. Training materials from Rising Voices and other sources. Assessment forms at the end of the session. They discovered that participants were glad to have the opportunity to be open, work with computer, meet other participants, etc. We Have a Blog. What Next? A blog is an ecosystem that creates opportunities for readers to participate. Remember Alice in Wonderland - watching yourself in a mirror which you write and you receive comments. It is interactive. Information comes to the blog and leaves from the blog. It is two-way. You don't just write, you link to others, make comments on other blogs, and respond to comments. If you don't do this, your ecosystem won't work. If you want to be successful, you must link. You have to write to invite comments - a different way of writing. You are writing to create conversation, not to just inform. Gave Daily Kos, Little Green Footballs, Huffington Post, and Tech Crunch as examples of blogs with ecosystems. Keep in mind that the big one eats the little one. You have to be very good to be a leader in your niche. If you put some effort into your blog, you will see results. Requires sustained effort. Need to create a community in your comments around our blog. People with too much energy can be channeled. For example, Daily Kos created a wiki. It isn't just talking, you can channel your community to take action. Form follows function -- don't distract the readers with flying monkeys - the goal is to get them to participate. Don't start the blog until you know what you want to talk about. "Less is More." Tolerance: You must be kind and understanding to the people who contribute or comment. If you make a mistake, you need to admit it. Create a friendly atmosphere. Multi-media: Not only text. It is important to use video, photos, and audio. Don't be shy in using other media. The blogs won't fly on their own - they don't work on their own - no blog takes off without being pushed. Needs an engine. Commenting on other blogs. Keywords are important, particularly in titles - if you want to show up in google. If you've been following my blog, I arrived in Romania last night after 32 hours in transit from Miami, including a 8 hour layover in Heathrow. I am here for a conference hosted by the Soros Foundation as part of their pilot advocacy through blogging program. On Monday, I will do presentation and facilitate a workshop on strategy which will include the Romanian version of the Social Media Game. To view larger chart, click here. I didn't like my photos, but then I remember that a lot of Internet users in Romania use photo sharing sites that I remembered from my collection of social media snack facts misc. So, I started searching Flickr and found amazing photo sharing groups for Romania as well as the fantastic photo below. However, I had no idea what building was in the photo. No problem. A quick question on Twitter and my colleague, Sue Waters, in Australia, asks her colleague @ggrosseck who told me it was a library in the University area via one of her followers in Romania. Got that? One of the best parts of conferences is the informal peer exchanges that happen over drinks and dinner. The clip above is one of the speakers, Sorin Matei, offering some tips Gabriela Tanasan – Executive Director, Orizonturi Foundation, Campulung Moldovenesc. Her project Blogging the Dream, is one of the six new health-focused citizen media outreach projects that were announced in June by Rising Voices and Open Society Institute’s Health Media Initiative. Expect light blogging this week because I have no idea whether or not I will have decent Internet access. I'm doing a whirlwind in 7 days - Boston - Miami - London - Romania - Miami - Boston. I'm leading some workshops and doing some presentations and other work. I left Boston on Thursday for Miami for a meeting on Friday. I left Miami on Friday evening at 8:50 PM and landed at Heathrow 11:00 AM local time, on hour delayed. Since I had an eight hour lay over in Heathrow, I decided to book a Yotel. for a shower, nap, and wifi. It was worth it. The only mistake I made is that the transit between terminals is confusing if you are jet lagged, sleep deprived traveler. I was not able to figure out via the Internet the fastest way to travel between terminals and I did not account for flight delays. I arrived in Terminal 5, but Yotel was in Terminal 4. I was told there was no bus and had to take the underground which took too long. There was a bus. So, make sure you take the bus. The Yotel was great - I got a shower, nap, and wifi. I was able to call home quickly with my n95. After my time was up, I took the bus back to Terminal 5 and eat something and then boarded my flight to Romania. If you ever go to Romania, and need to take taxi into town - don't let any "official tax drivers" fool you. There are different rates, etc. Take a yellow cab and look at the rates posted on the doors and pick the cheapest. I'm finally at my hotel. It is 2:00 am Romania time, but 7:00 PM east coast time. I'm gearing up for a workshop on Monday. So I have Sunday to recover and prepare. I am really curious to see if the profiles that exist in the US about Web 2.0 show up here in Romania or they are different. Allyson Kapin has a post on the Huffington Post called Cracking the Boys Club that shares her top 10 women pioneers of Web 2.0. I'm honored to be on the list along with some awesome women. I was also interviewed by The .Org Blog this week. The Secret Life of a Wiki Gardener: Using a gardening metaphor, I drill down into the fine art of wiki facilitation. Balancing Participation On Homebase and Outposts: How wiki participation can happen on the wiki and off the wiki and how to weave that participation together. A Visual Way to Track Participation: Using a timeline application/widget, you can visually track who has added what to your wiki over time. The Power of the Newbie and Sustaining Participation As you wiki grows over time and new people come into the community, how to make the user experience a good one. Establishing a Culture of Giving on Your Wiki: This post looks at ways that you can encourage people to add to the wiki, not just browse. Getting out of the way: How to encourage participation in the beginning - moderating with a light touch to encourage and grow community responsibility. At the beginning of the project, Dave Cormier agreed to be my "critical friend." (Here are a few resources defining critical friends - here, here and here). But the short definition is: "A critical friend is someone who is independent of the project who asks provocative questions, offers an alternative view, and helps facilitate fresh insights or alternative sources of information or expertise." This has been invaluable learning process because Dave's insights have sparked the above reflections. No matter how good a community, its ideas, its positioning, there are almost always a couple of people working their tails off to keep it what it is. Community participation is almost entirely about the responsibility of the participant. I’m going to be working with george siemens on a course starting (omg… next week) and will definitely be using the wearemedia project as a resource… we should, as good members of a community, update the part of the content that need updating as a manner of ‘responsibility’ or payment if you like, for using the material. I worry, however, about potentially adding confusing information while beth et al. are designing their delivery methods… something to think about. This kind of relationship, though, seems like a good one. A couple of courses decide to use the same repository/ies for their work and that keeps the work uptodate as well as avoiding the duplication of effort. I wonder if something like this with wearemedia and alec’s 831 course would make a nice balance between two excellent resources. mmm… community. If you look at the work plan, the content development part of the project is coming to a close (there's one module left to build on experimentation) and "instructional" part of the project is ramping up. The wiki serves as a companion to the face-to-face workshops and Dave asks a very good question: How does one keep content this changeable uptodate? 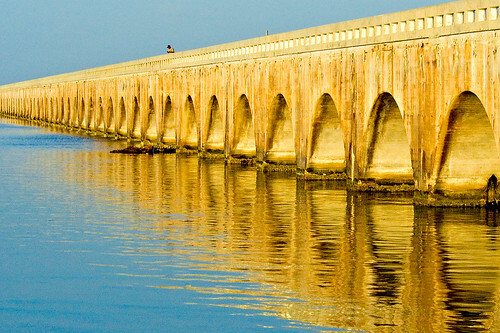 Here's what lies ahead -- a division and then a bridge between online/offline learning and community/content. The problem is how to accomplish that without it being too confusing. As drill you down into the sections, you'll see links to blog posts that people contributed to this effort as well as links and text/bullet points on the wiki itself. The challenge is how to keep the community engaged? We've worked rather intensely - perhaps this becomes a slower community. At the very beginning of the project, people wanted to see "edited instructional content" - and Michele Martin wrote a great post about this. The next task is going to be transform the Community Driven Content into a more instructional and static format intended as a companion for workshop participants. I also see them eventually contributing to the wiki. This will happen over the next 6 weeks. LIve Tweeting and Qiking a Dell Technical Support On-Site: Computer Fixed! That's Jacob the Dell Repair Man! I qiked and live tweeted this event. I asked permission and he said yes. He had never seen Twitter before but was totally amazed. He left wanting to use for his church. After an hour of motherboard and RAM surgery, and some stressful moments, my computer came back to life! Whew!